Facundo, the son of trumpeter Gustavo Bergalli, was born in Buenos Aires in 1969. Facundo has built a considerable reputation for himself in Argentina as an amazingly flexible and all-round musician of elegance, technique and originality. His talents although channelled principally into jazz music, also cover the tango music of his native country Argentina. In Argentina he often appears together with singer Gabriella Torres who is a great interpreter of the tango. Now and then Facundo goes to Sweden to play with various groups. One of them is Hector Bingert's Latin Lover Big Band that often plays at Jazzclub Fasching in Stockholm, frequently tours Sweden and also appears at jazz festivals in the Nordic countries such as the Molde Jazz Festival. 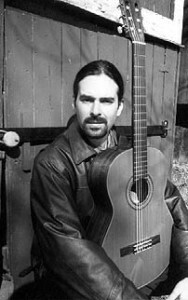 Facundo is responsible for selecting the compositions from the Argentinean legacy of beautiful music, which appears on the CD "Tango in Jazz".